We meet many business owners, CEOs, and even aspiring news anchors who are very excited to rent out our video studio, but they're also quite concerned about how they're going to memorize what they want to say on camera. Their goal is to come across as polished and well-spoken, and they'd really prefer not to be shuffling a bunch of papers while they try to get their message across. The secret to success in this case is our trusty teleprompter. A teleprompter displays text for on-air announcers to follow while simultaneously looking in the camera. This way, they are able to give the appearance that they are speaking candidly with the viewer, rather than reading text. To use our teleprompter, you will simply need to submit your script a few days ahead of the shoot so that our Virginia video production team can make sure everything looks good and get the text into the teleprompter. By taking care of this ahead of your scheduled studio rental day, you avoid wasting valuable time that can be spent shooting your video. As you write your script, remember that many people don't necessarily speak like they write. Avoid sounding too formal, and choose words that you would actually use in conversation. Practice! Many people skip practicing because they feel secure knowing their script will be on the teleprompter that day. 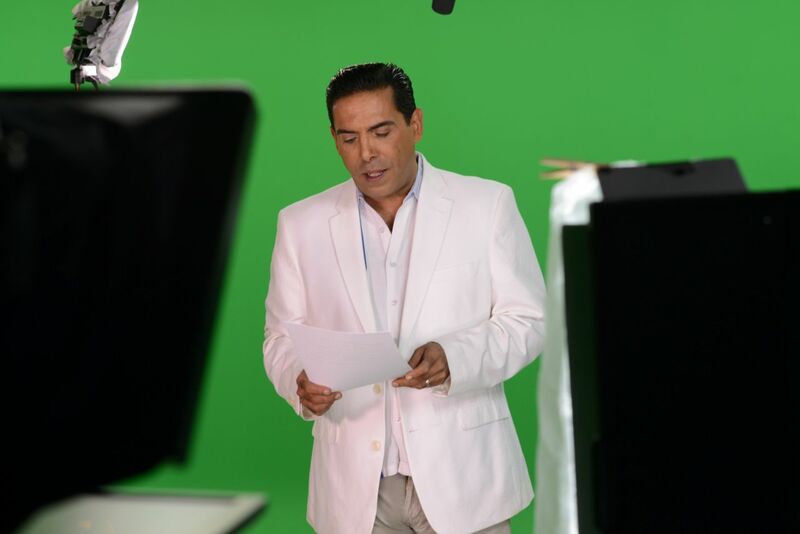 Unfortunately, not practicing usually results in many extra takes as the presenter tries to perfect what he or she is trying to say. Take care of that ahead of time, and your shoot will move quickly and easily. Relax. This is sometimes easier said than done, but you don't want to come across as stiff or look like you are actually reading. Try not to move your head back and forth as you read because that is a dead giveaway that you are reading from a teleprompter. If you're thinking about renting out our Gearshift studio, but you're not sure if you need a teleprompter or other equipment, we can help you figure that out. Just give us a call at 703.962.1270 to tell us about your project, and we will be able to make some personalized recommendations to get you going!